By the time spring roles around we New Yorkers are itching to get out. This past winter especially there were severe cases of cabin fever. 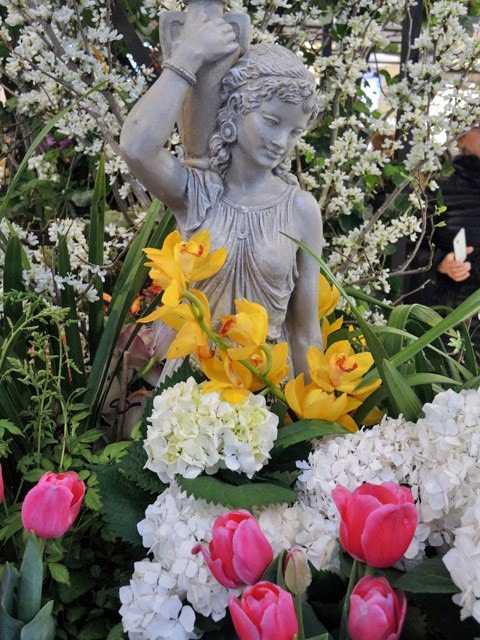 What better way to welcome spring than the Macys Flower Show. A beautiful kaleidoscope of colors, fragrant gardens and exotic sculptures that only New York can produce. This is the 40th year for the Macys New York Show. 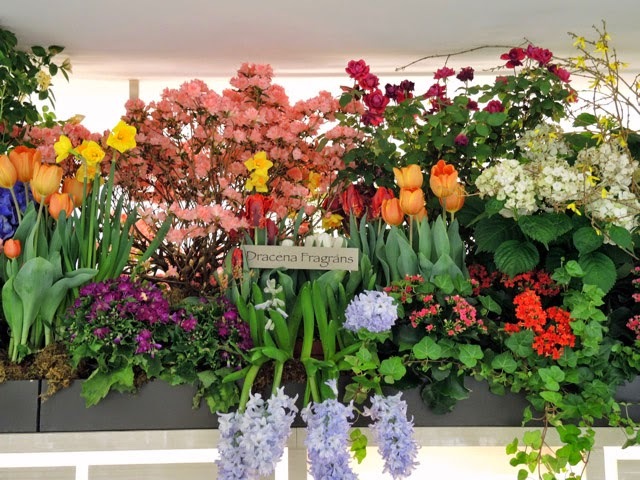 The flower show is also held in other cities, originally starting at the San Francisco Macys in 1946 as a fragrance festival. The past two years the show has been outside because of construction on the main floor. 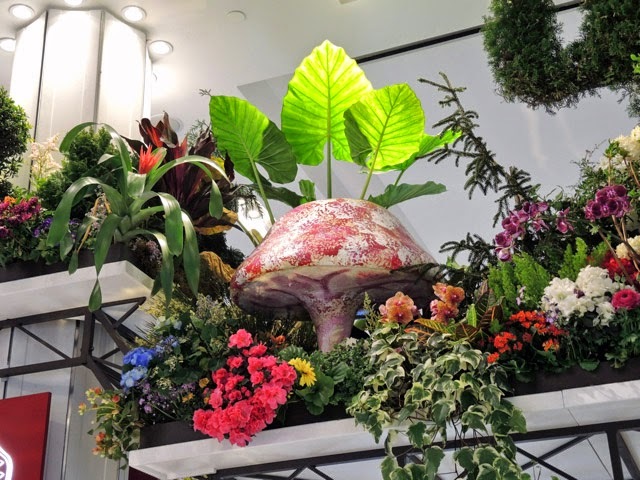 This year it was back inside and the designers once again had to work with creating their pieces while utilizing the display and selling counters. 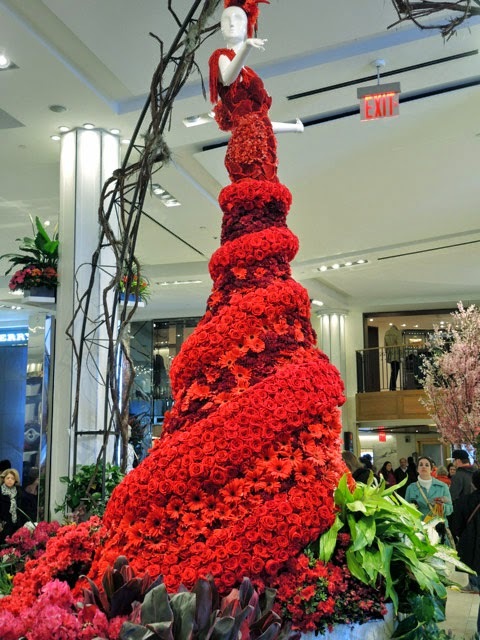 When you first enter the store you are welcomed by the Lady in the Red Dress; a 14 foot runway inspiration created completely with red flowers. Starting in 1980 Macys started having a theme for the show. This year's theme was the Secret Garden. A magical floral dream of wonder and fantasy consisting of 30,000 flowers. It really is quite surreal. 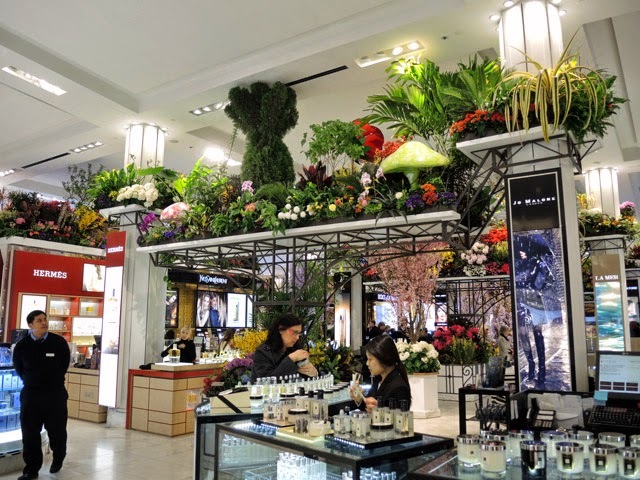 Stepping into a major department store and being overwhelmed by all of these floral arrangements. In addition to the Secret Garden there is also the Bouquet of the Day. 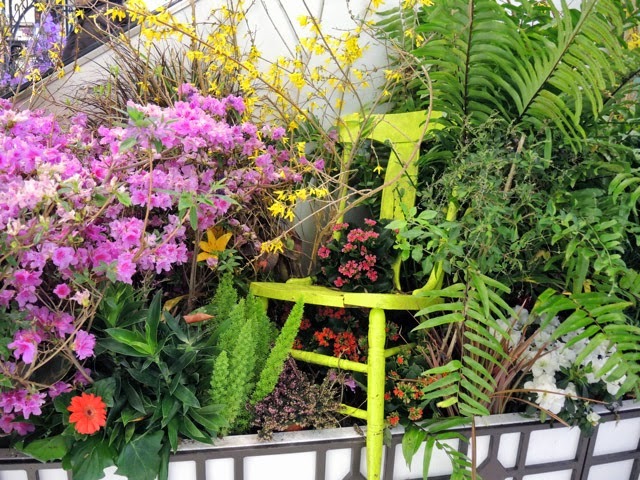 Five designers create special arrangements and each arrangement is featured for a few days. I attended on April 4th a few days before the end of the show. 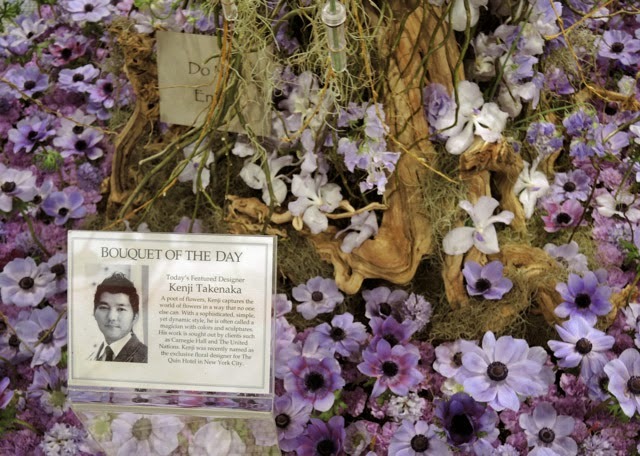 The Bouquet of the Day was created by Kenji Takenaka, otherwise known as the poet of flowers. 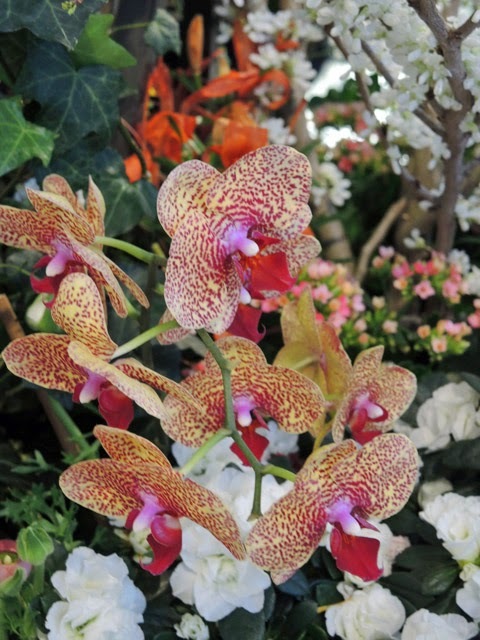 I was so intrigued by this dark pink speckled orchid also called a Phalaenopsis. Thank you to Patrick of Doran Gardens in Brooklyn for giving me the true name. I think my favorite is the above lime green chair. I noticed this as we walked towards the back of the store situated in a flower bed on the side of an elevator. I took so many photos it was difficult to choose which ones to share. 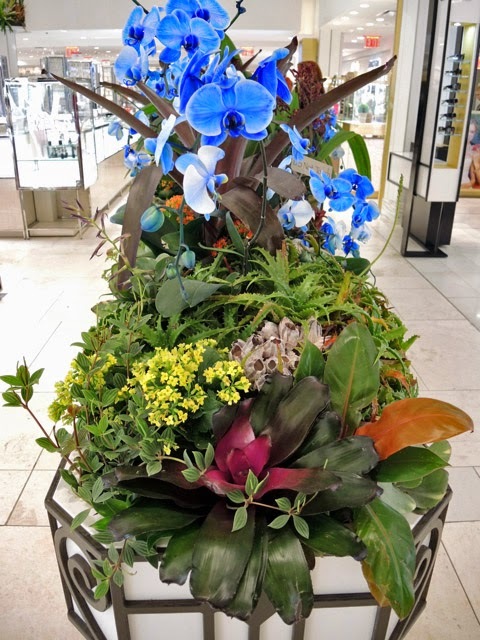 I love the larger than life arrangements in unexpected places, like the electric blue orchids in the costume jewelry aisle. I know my 10 month old daughter enjoyed it. With her head constantly arched up, she just kept looking at all the colors with wide eyes! 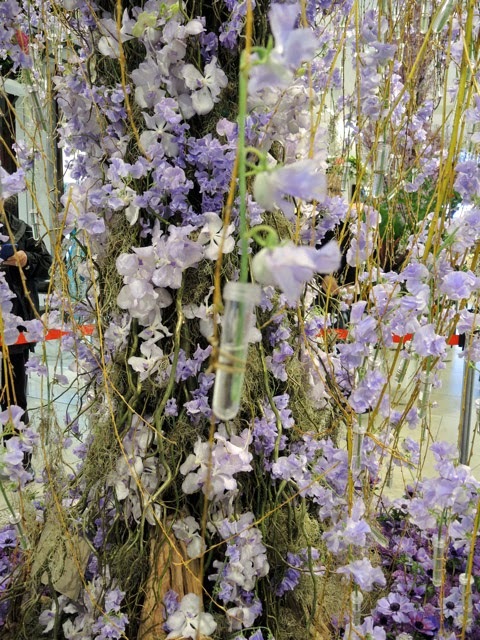 If you didn't make it to the flower show I hope you enjoy the photos. And there is always this Sunday's Easter Parade! Great report and pictures Tracey... Love that lime green chair as well! WOW!! Amazing arrangements! That red dress is incredible!